An annual species native to the Causcsus region, Ukraine and Western Asia. The common name comes from the sweet scent of the flowers. 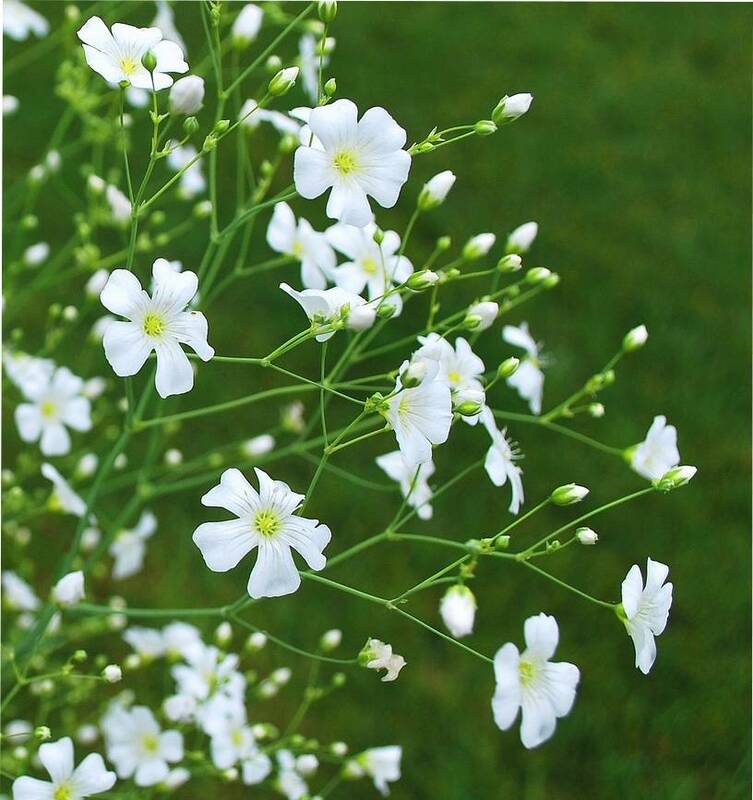 Gypsophila means 'lime loving' but most species are happy in neutral to slightly alkaline soil that is fertile, moist and well drained. Plant in full sun, larger types will often rebloom if cut back after their first flush. Before transplanting outdoors, these seeds need to begin their growing cycle in growing medium, designed to a specific formula and to be protected from extreme elements such as frost, wind, heavy rain etc.